A couple of weeks ago we wrote a blog titled “The true costs of self-publishing.” It got a lot of comments and activity – in particular in several LinkedIn Groups. Some people agreed with our assessment, some didn’t. We don’t expect people to always agree with us but were thrilled to see so much discussion. However, there was a running theme in the comments that I think is vital to address. And it breaks down to “self-publishing” vs. “printing” a book. Several authors/publishers mentioned that they “published” their book for free or for only the POD set up costs. My hat is off to them and I do wish them all the best in their publishing endeavors. I hope that they are very successful. We’ve seen great books brought to market very inexpensively. “Printing” vs. “Publishing” a book. 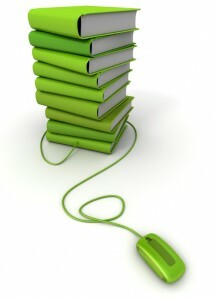 Just uploading your Word document through an eBook or POD provider such as CreateSpace is not publishing your book. It’s printing your book. And it’s the very practice that is giving self-publishing a bad name. I’m guessing that statement won’t win me many friends, but it’s a fact. The very nature of POD actually makes it easier than ever before to truly publish a book. And between CreateSpace and IngramSpark, there are wonderful avenues available to authors. But it still takes more than a simple manuscript upload. It means that an author must take off their “author” hat and put on their publisher hat. Publishing or Self-Publishing a book means actively taking ownership of the book publishing process. It means developing, editing, creating and publishing a product that is top quality and that will engage readers – whether it’s fiction or nonfiction. Publishing a book means making sure you DO have a professionally designed cover. It doesn’t have to be outrageously expensive. We have seen great books go nowhere because their cover designs just don’t work. The cover MUST stand up in your category and be designed and marketed to your reader. A good designer knows how to do that. There are companies that specialize in book cover design. There are also some great designers on different job bid sites that do great work for very little money. Publishing a book means having it edited. No book, ever, should see the light of day without a thorough edit. This includes both a copyedit and a proofread. Publishing a book that has typos and grammatical errors is unprofessional. Editing your own book is rarely, if ever, a good idea. Authors are intimate with their work and that makes it extra challenging to address errors, omissions and editorial changes. Publishing a book means having it designed. One of the challenges that many self-published authors have is that by simply uploading a Word document, they have sacrificed design. Readers notice things like weird fonts, bad spacing, unprofessional margins, missing page numbers and so much more. There are some great programs that allow authors to design their own interiors. There are professional designers that do it as a full-time job. However it is done, the end book layout should look professional. Publishing a book means having a long-term plan. It doesn’t mean uploading your Word document to a POD site and calling yourself “published”. It means knowing your market, identifying your sales and marketing plan, and ensuring that your finished book is the best that it can be. Publishing a book means making strategic, and sometimes difficult, decisions around format (hardcover vs. paperback), Price (NEVER price a book to recoup your investment, price it to sell), trim size, title and subtitle. There are a growing number of authors out there who will absolutely disagree with this assessment of publishing a book. They believe that uploading their Word document through the (very easy) POD process is publishing. I believe that’s printing. Anyone, anywhere, at any time, can print something – whether it’s on a home printer, at the library, at a Staples or Kinko’s or at an offset or digital printer. There’s no quality control check or process or plan. You hit print on your files and it’s done. That’s also what many authors are doing through eBook and POD companies and calling it publishing. We love POD. We think it’s is a great option (and often the right option) for a lot of authors. The printing, trim sizes, paper, and cover stock have come a really long way. You can absolutely publish a professional and marketable book via POD. It’s just very important that all of the pieces are in place. Publishing can, and should, be approached like any other activity. Play to your strengths. No single person is good at everything. That includes writers. Chances are that a great writer is not also a great designer and a great editor. There’s nothing wrong with that. And, in fact, it’s how we are all built. Publishing a book doesn’t have to be cost-prohibitive. There are a number of ways to build your publishing team inexpensively – from design bid sites to freelancers to trading skills/experience. Book publishing is a great avenue for sharing really fantastic content with readers. It’s a way to engage readers, introduce children to the written word, provide advice or entertainment and remind people that reading (and books) is important. Because of that, authors and publishers have an extra responsibility to be true stewards of the written word and to publish strong books with great content and top quality.